There is no better way to see NYC than from up above. By visiting one or multiple rooftop bars in New York City, you can see all that the city offers from views normally only the rich could afford. Is it your birthday, anniversary, bachelor or bachelorette party, or just another weekend to let loose? Check out our party buses here. 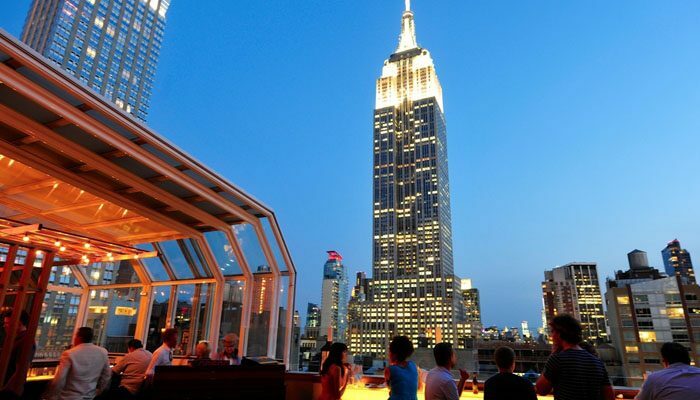 Our snazzy list of 30 popular NYC roof top bars ensure all tastes and styles can be accommodated.